Cisco IOS Embedded Event Manager (EEM) is a powerful and flexible subsystem that provides real-time network event detection and onboard automation. It gives you the ability to adapt the behavior of your network devices to align with your business needs. Customers can use EEM to create and run programs or scripts directly on a router or switch. The scripts are referred to as EEM Policies and can be programmed using a simpleCLI-based interface or using a scripting language called Tool Command Language (TCL). EEM allows customers to harness the significant intelligence within Cisco IOS Softwareto respond to real-time events, automate tasks, create customer commands and take local automated action based on conditions detected by the Cisco IOS Software itself. In this article, I will explain how to send email based on syslog event using the EEM applet feature. An EEM applet is a simple form of policy defined within the CLI configuration. In EEM applet configuration mode, three types of configuration statements are supported. The event commands are used to specify the event criteria to trigger the applet to run, the action commands are used to specify an action to perform when the EEM applet is triggered, and the set command is used to set the value of an EEM applet variable. Use the show event manager policy registered command to display a list of registered applets. 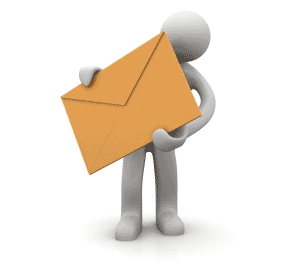 So, how can I use the EEM to receive a mail? event syslog pattern “pattern“: Configures syslog event detector to match the log message. Remember: it is possible use the regular expression! action: Configures actions to execute when the event is matched. In the first example I send email, then I create a syslog message with #5 priority. In the second example, I execute the command “sh crypto ipsec sa | i local crypto” with privileged mode, I send the mail, then I create a syslog message with #5 priority. Remember: the action cli command returns the output generated by the IOS CLI command in the $_cli_result variable. Ciscozine(config-applet)#event syslog pattern "SEC_LOGIN-5-LOGIN_SUCCESS: Login Success. *[localport: 22]"
Ciscozine(config-applet)#action 1.0 mail server "$_email_server" to "$_email_to" from "$_email_from" subject "$_event_pub_time: Login via SSH" body "$_syslog_msg"
Ciscozine(config-applet)#action 1.5 syslog msg priority 5 "LOGIN SUCCESS - Mail Sent"
Ciscozine(config-applet)#event syslog pattern "LINEPROTO-5-UPDOWN: Line protocol on Interface Virtual-Access. *up"
Ciscozine(config-applet)#action 1.0 cli command "enable"
Ciscozine(config-applet)#action 1.5 cli command "sh crypto ipsec sa | i local crypto"
Ciscozine(config-applet)#action 2.0 mail server "$_email_server" to "$_email_to" from "$_email_from" subject "$_event_pub_time: VPN User connected" body "Connection:\n$_cli_result"
Ciscozine(config-applet)#action 2.5 syslog priority 5 msg "VPN UP - Mail Sent"
$_event_type: The event type that triggered the event. $_syslog_msg: The syslog message that caused the event to be published.